Sunday: What Will Your Easter Message Be? 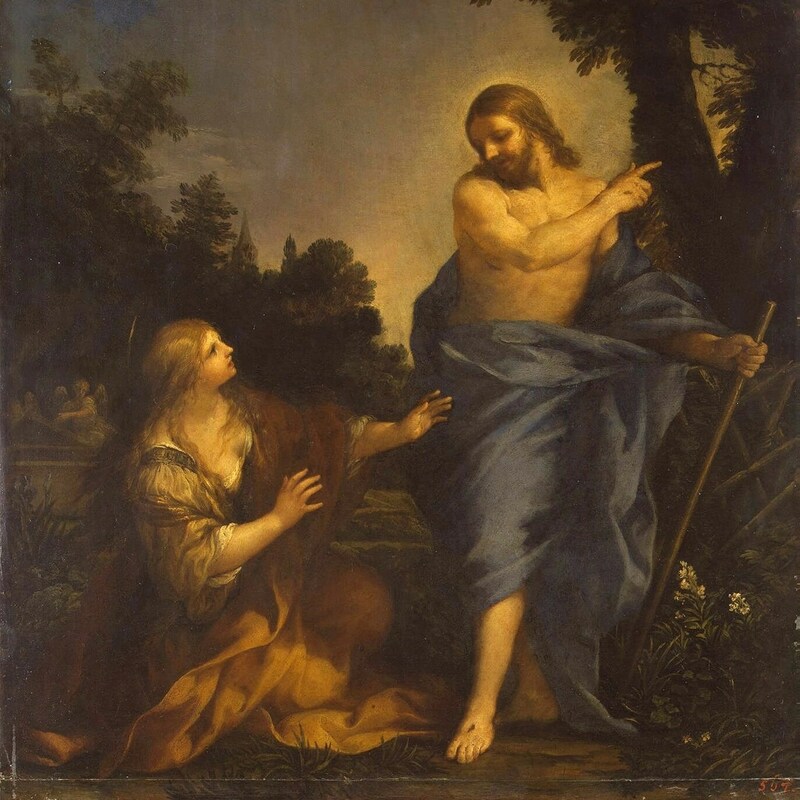 Early versions of the Gospel of Mark end with Mary Magdalene fleeing the scene of the empty tomb. Scholars disagree about what exactly is going on with these versions, but one theory is that this Gospel was written for early Christians who had their own experiences of the risen Christ. I like that — one unmistakable message in the Easter Gospels is that Jesus is real, he really rose from the dead, and we should each go out and have our own experience of the risen Jesus. More than that, we have a further duty to share our own Easter message. In the second reading we hear St. Peter in Acts telling people what he believes about Jesus and why. Take it as a blueprint and make your own Easter message. Here are the steps. First, reference real things your audience has experienced. Second, tell them the positive things you have seen Jesus do. We have each had an experience of Jesus, but we aren’t always comfortable sharing it. Did Jesus restore your hope? Did he expand you to be able to handle more things? Did he heal your relationship with your brother? Did he lift a load off your shoulders through his forgiveness? Did he help your sister through a terrible time in her life? Tell others. You are a witness to these things. Share them! And be armed with the research that shows how faith helps others. Third, make them know that the resurrection is reasonable. Even skeptics recognize that the Gospels tell a story that doesn’t sound made-up at all: People who make up a religion usually make themselves heroes in the process. The apostles look like bumbling cowards in the Gospels. Yet they tell the story of astounding encounters like Paul’s, and the historical record shows that many new Christians died for their belief in what they saw. There are very good reasons to believe that Jesus rose from the dead. Learn them and share them. Fourth, tell them about God’s mercy. People instinctively knew that we will held account for how we conduct our lives. We know that our choices have hemmed us in. We know we will be judged. It is a great relief to learn that the judge of our souls is a lover of Mercy, who is just waiting for our “sorry” to give us his pardon — and the Divine Mercy message coming the Second Sunday of Easter is the perfect herald of that news. So this Easter, make your own Easter message. Write it down. Practice it. You can start by watching this Catholics Come Home commercial that does all the things mentioned above. Pass it on.